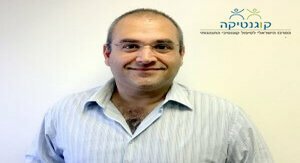 ד"ר אליזבת יובן וצלר היא פסיכיאטרית בכירה, מנהלת מחלקת פסיכיאטרית נשים במרכז הירושלמי לבריאות הנפש (איתנים). ד"ר יובן וצלר כיהנה בתור סגנית מנהלת מחלקה פסיכיאטרית א' בבית החולים תל השומר. כיום היא מלמדת הוראה קלינית בפקולטה לרפואה של האוניברסיטה העברית. כמו כן, היא חברה באגודה הישראלית לפסיכיאטריה ובאגודה הישראלית לפסיכיאטריה ביולוגית. 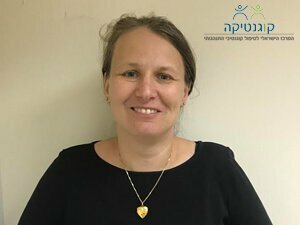 ד"ר יובן וצלר בוגרת בית הספר לרפואה של הטכניון והתמחתה בפסיכיאטריה בבית החולים תל השומר. 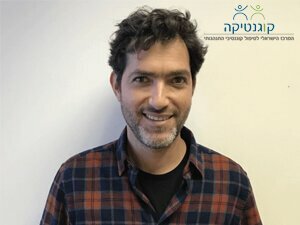 בנוסף, היא בוגרת תואר MSc באוניברסיטת מסטריכט בהולנד. ד"ר יובן וצלר לקחה חלק במחקרים רבים ופרסמה עשרות מאמרים מדעיים בתחומים מגוונים: תפקודים מיניים, הפרעה אובססיבית קומפולסיבית, דיכאון, פוסט טראומה, סכיזופרניה, אובדנות ועוד. 1. Gruenwald I, Vardi Y, Gartman I, Juven E, Sprecher E, Yarnitsky D, Miller A. Sexual dysfunction in females with multiple sclerosis: quantitative sensory testing. Mult Scler. 2007 Jan;13(1):95-105. 4.840; 27/194; 46/259; 34. 2. Schosser A, Calati R, Serretti A, Massat I, Kocabas NA, Papageorgiou K,Linotte S, Mendlewicz J, Souery D, Zohar J, Juven-Wetzler A, Montgomery S, Kasper S. The impact of COMT gene polymorphisms on suicidality in treatment resistant major depressive disorder–a European multicenter study. Eur Neuropsychopharmacol. 3. Juven-Wetzler A, Bar-Ziv D, Cwikel-Hamzany S, Abudy A, Peri N, Zohar J. A pilot study of the "Continuation of Care" model in "revolving-door" patients. 4. Calati R, Crisafulli C, Balestri M, Serretti A, Spina E, Calabrò M, Sidoti A, Albani D, Massat I, Höfer P, Amital D, Juven-Wetzler A, Kasper S, Zohar J, Souery D, Montgomery S, Mendlewicz J. , Evaluation of the role of MAPK1 and CREB1 polymorphisms on treatment resistance, response and remission in mood disorder patients. 6. Amital D, Fostick L, Silberman A, Calati R, Spindelegger C, Serretti A, Juven-Wetzler A, Souery D, Mendlewicz J, Montgomery S, Kasper S, Zohar J. Physical co-morbidity among treatment resistant vs. treatment responsive patients with major depressive disorder. 7. Juven-Wetzler A, Cohen H, Kaplan Z, Kohen A, Porat O, Zohar J. Immediate ketamine treatment does not prevent posttraumatic stress responses in an animal model for PTSD. 8. Abudy A, Juven-Wetzler A, Zohar J. The different faces of Creutzfeldt-Jacob disease CJD in psychiatry. 9. Fabbri C, Marsano A, Albani D, Chierchia A, Calati R, Drago A, Crisafulli C, Calabrò M, Kasper S, Lanzenberger R, Zohar J, Juven-Wetzler A, Souery D, Montgomery S, Mendlewicz J, Serretti A. PPP3CC gene: a putative modulator of antidepressant response through the B-cell receptor signaling pathway. 10. Lochner C, Fineberg NA, Zohar J, van Ameringen M, Juven-Wetzler A, Altamura AC, Cuzen NL, Hollander E, Denys D, Nicolini H, Dell'Osso B, Pallanti S, Stein DJ. Comorbidity in obsessive-compulsive disorder (OCD): a report from the International College of Obsessive-Compulsive Spectrum Disorders (ICOCS). 11. Juven-Wetzler A, Fostick L, Cwikel-Hamzany S, Balaban E, Zohar J. Treatment with Ziprasidone for schizophrenia patients with OCD. 12. Souery D, Calati R, Papageorgiou K, Juven-Wetzler A, Gailledreau J, Modavi D, Sentissi O, Pitchot W, Papadimitriou GN, Dikeos D, Montgomery S, Kasper S, Zohar J, Serretti A, Mendlewicz J. What to expect from a third step in treatment resistant depression: A prospective open study on escitalopram. 13. Fabbri C, Crisafulli C, Gurwitz D, Stingl J, Calati R, Albani D, Forloni G, Calabrò M, Martines R, Kasper S, Zohar J, Juven-Wetzler A, Souery D, Montgomery S, Mendlewicz J, Girolamo GD, Serretti A. Neuronal cell adhesion genes and antidepressant response in three independent samples. 14. Höfer P, Schosser A, Calati R, Serretti A, Massat I, Kocabas NA, Konstantinidis A, Mendlewicz J, Souery D, Zohar J, Juven-Wetzler A, Montgomery S, Kasper S. The impact of serotonin receptor 1A and 2A gene polymorphisms and interactions on suicide attempt and suicide risk in depressed patients with insufficient response to treatment–a European multicentre study. 15. Fabbri C, Crisafulli C, Calati R, Albani D, Forloni G, Calabrò M, Martines R, Kasper S, Zohar J, Juven-Wetzler A, Souery D, Montgomery S, Mendlewicz J, Serretti A. Neuroplasticity and second messenger pathways in antidepressant efficacy: pharmacogenetic results from a prospective trial investigating treatment resistance. 16. Zohar J, Fostick L, Juven-Wetzler A, Kaplan Z, Shalev H, Schreiber G, Miroshnik N, Shalev AY, Stein DJ, Seedat S, Suliman S, Klein E. Secondary Prevention of Chronic PTSD by Early and Short-Term Administration of Escitalopram: A Prospective Randomized, Placebo-Controlled, Double-Blind Trial. J Clin Psychiatry. 2017 Jul 11. 5.291; 16/142 (SCIE); 5/121 (SSCI); 12/139 (SSCI); 0 Secondary Prevention of Chronic PTSD by Early and Short-Term Administration of Escitalopram: A Prospective Randomized, Placebo-Controlled, Double-Blind Trial. 19. Zohar J, Sonnino R, Juven-Wetzler A, Cohen H. Can posttraumatic stress disorder be prevented? 20. Zohar J, Juven-Wetzler A, Sonnino R, Cwikel-Hamzany S, Balaban E, Cohen H. New insights into secondary prevention in post-traumatic stress disorder. 21. Abudy A, Juven-Wetzler A, Zohar J. Pharmacological management of treatment-resistant obsessive-compulsive disorder. 22. Zohar J, Fostick L, Juven-Wetzler A. Obsessive-compulsive disorder Zohar J, Fostick L, Juven-Wetzler A. Obsessive-compulsive disorder New Oxford textbook . 23. Juven-Wetzler A, Sonnino R, Bar-Ziv D, Zohar J. Symptom exaggeration in posttraumatic stress disorder. In: Nutt DJ, Stein M, Zohar J (Editors). 24. Abudy A, Juven-Wetzler A, Sonnino R, Zohar J. Serotonin and beyond: a neurotransmitter perspective of OCD. Obsessive compulsive disorder current science and clinical practice. Wiley-Blackwell, 2012. זהר י, בר-זיו ד, יובן וצלר א. האם אפשר לחיות עם הפרעה טורדנית כפייתית? מדיקל . 2010ינואר-פברואר: 28, 46-48.